At the CTN Animation Expo, I sketched quick portraits of Peter De Seve and Jake Parker. Jake and I did a demo on stage. He drew a robotic dinosaur, while I drew him drawing. ...while Jeanette sketched me sketching Jake. Left hand is for the noodles. 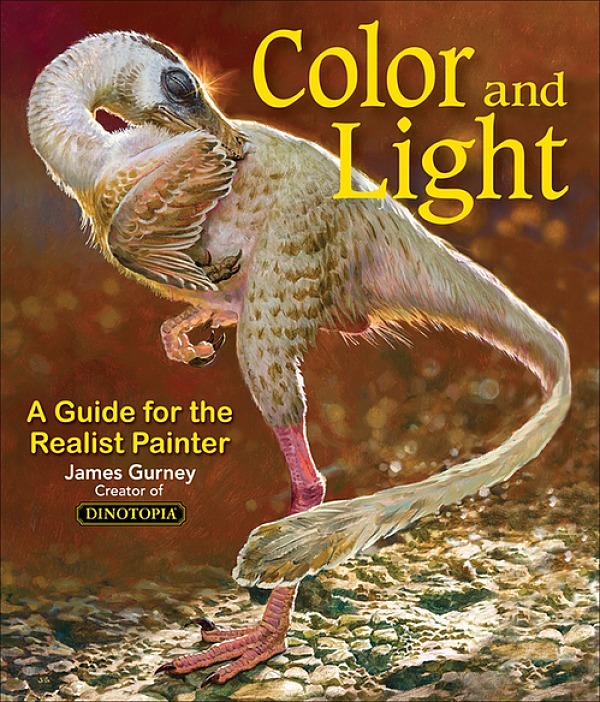 Right hand for the watercolor brush. Fellow artists and animators at the Japanese Grill. Sebastian Kruger knew that he was surrounded by caricaturists, so he pulled his hat brim down a little lower. It was a grand time with amazing artists! 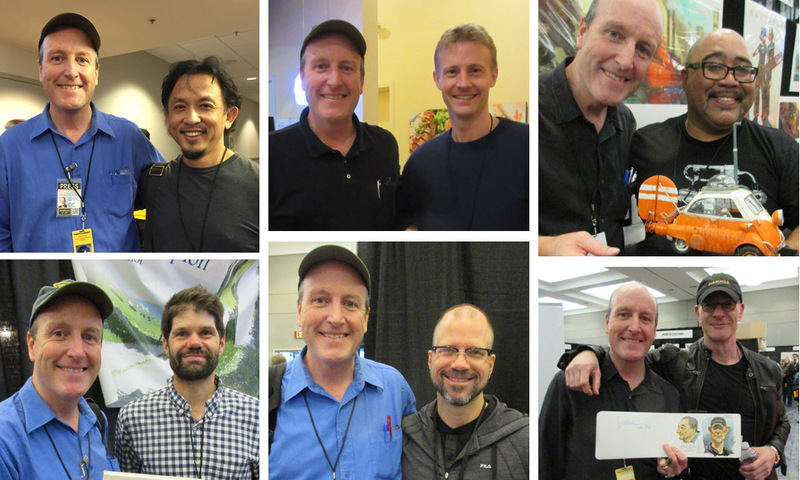 Just to name a few, above left to right: Armand Serrano, Mark Oftedal, Armand Baltazar, Pascal Campion, Robh Ruppel, and Sebastian Kruger, plus so many other pros and students. 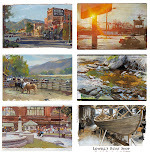 Terrific paintings! It was a great event. I had hoped to say 'hi', but kept missing you. My wife managed to bump into you a number of times (and get pictures), but somehow I always was somewhere else. Maybe next time! 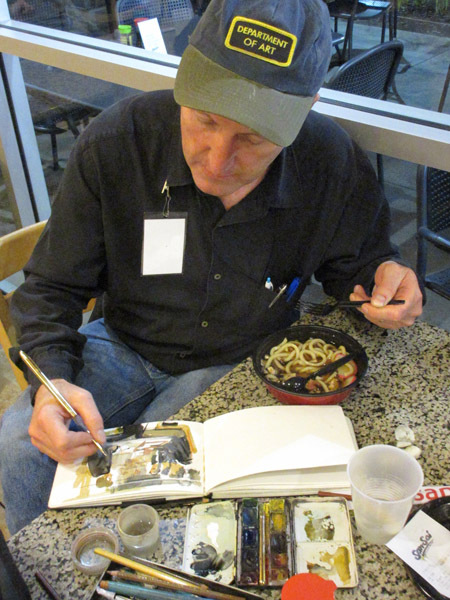 What sketchbook are you using in the photo of you painting and eating noodles? Chuck, yes, sorry to miss you, but glad I saw your wife, Cliff, and a lot of your students and former Fullerton students. Tom, yes, and thanks for mentioning Peter's website. Gina, I'm grateful to you for coming to the demo. Tristan, that's a Pentalic watercolor journal. James, meeting you and Jeanette in the Japanese grill and flipping through your sketchbook was one of the highlights of CTN. I got lucky twice-- I was the last person allowed into your composition talk (I happily sat on the floor), and I bumped into you just minutes before leaving CTN. I'm so glad I didn't miss you!